Refresh your home for spring with the charming displays and rooms abloom with color and creativity in our March 2018 issue! Enjoy a look at five fabulous country homes full of decorating inspiration and assemble sweet seasonal accents from upcycled goods with the quick-and-easy ideas shared in Thrifty Thinking. 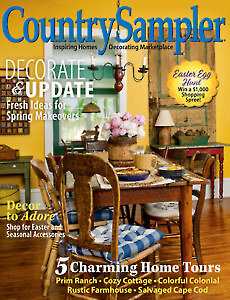 Gather a basketful of cheerful decorating accessories in Country Treasures, get interesting facts and figures about noteworthy antiques in Antiques Q&A, and learn how to make your home warm and welcoming for Easter in Decorate with Crafts. 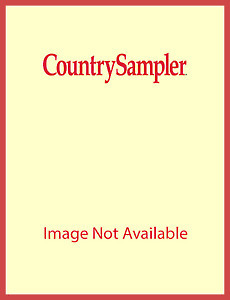 Browse our Country Marketplace for the latest in country furnishings, decor, gifts and more. Don’t miss a thing – download (or subscribe!) now!